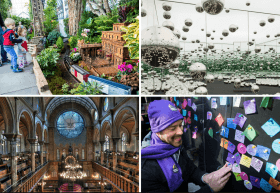 The New York Public Library launched on Monday a limited-edition library card highlighting the message behind all public libraries: knowledge is power. 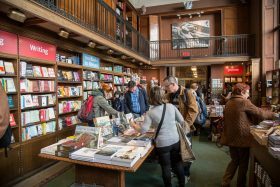 The special black and silver card serves as a reminder to New Yorkers to fight misinformation, stay informed, and, of course, visit your local library. The card is available at NYPL‘s 92 locations across the Bronx, Manhattan, and Staten Island for a limited time. 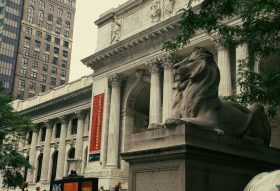 The New York Public Library first roared into existence on May 23, 1895, educating and inspiring countless millions, free of charge. 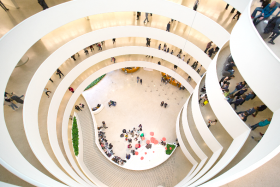 The Library’s 92 locations include four research divisions and hold over 51 million items. Out of all these tomes, the greatest tale might be Library’s own history: Founded by immigrants and industrialists, it was equally admired by William Howard Taft and Vladimir Lenin; open to all, it has counted among its staff American Olympians and Soviet spies; dedicated to intellectual exploration and civic responsibility, it has made its map collection available to buried treasure hunters and Allied Commanders; evolving with the city itself, it has made branch locations out of a prison, a movie theater, and most recently, a chocolate factory. 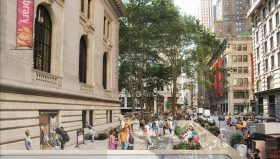 The history of the New York Public Library is as vital and various New York itself, so get ready to read between the lions. 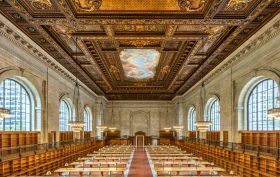 NYPL’s historic Rose Main Reading Room is officially an interior landmark! 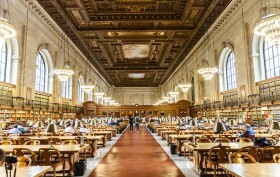 In May, State Senators Brad Hoylman and Liz Krueger drafted a letter to the Landmarks Preservation Commission asking them to designate the Rose Main Reading Room (one of the largest uncolumned interior spaces in the world) and the Bill Blass Public Catalog Room at the iconic Stephen A. Schwarzman Building on 5th Avenue as interior landmarks. 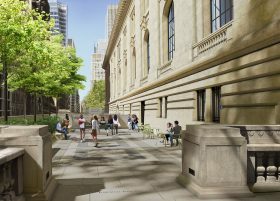 Though the LPC has been criticized in the past for their backlog of potential landmarks, they quickly put the request on their schedule and just this morning voted unanimously in favor of the designations, which protect the spaces’ murals, decorative plasterwork, metal and woodwork, light fixtures, windows, doors, balconies, built-in bookcases, and decorative elements.